A small brown sea lion who goes by the name “Rubbish” decided today to leave behind the ocean and instead tour the coastal city of San Francisco on foot, or rather flipper, on Thursday morning. Someone sighted the friendly creature near San Fran’s Marina District at about 7 a.m. and decided to call it in. Laura Sherr, a spokeswoman from the Marine Mammal Center of Sausalito, confirmed that the sea lion was brought to the center for a routine check up and care after he had been humanely captured. Marine mammal rescuers are concerned that events like this could become more commonplace, due to global warming heating up the Pacific Ocean. 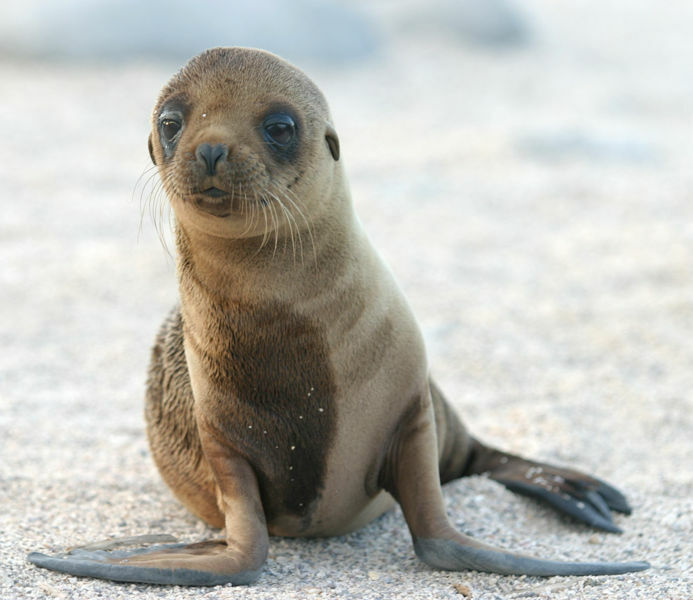 A recent study conducted by the National Oceanic and Atmospheric Administration, suggests that this little confused sea lion is hardly alone. Rubbish is just one of at least 1,800 California sea lion pups who had been found stranded alongside the west coast this year. This is probably the result of drastic increases of the ocean’s temperature coupled with a continuously diminishing supply of food. Johnson also revealed that this also was not the first time the rescue center had taken in Rubbish. He was named by and cared for at the center back in February, shortly following his rescue from the Santa Barbara Marine Mammal Center and was afterwards transferred to the Marine Mammal Center, where he was cared for as an eight-month-old pup. At the time, Rubbish weighed only 30 pounds, and was suffering from pneumonia as well as malnutrition. Shortly afterwards, he put on an additional 17 pounds and after being deemed healthy, the caretakers set him loose at Point Reyes National Seashore on March 23. Johnson believes that if the warming of our oceans continues to worsen, these situations will most likely persist. He listed three of the primary stressors in the marine environment: overfishing, pollution, as well as global warming.